Throughout our nation’s history, there have been many brave Americans that have stood up and fought for the rights of others. 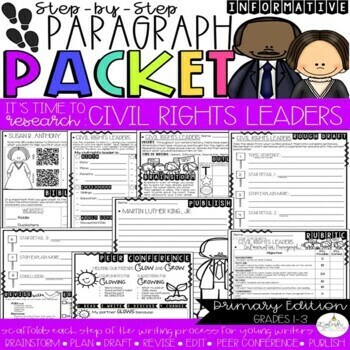 Have your students research one of these civil rights leaders further and write a well-developed paragraph about what they learned about him or her by utilizing this Step-Up Paragraph Packet. **2 QR codes and a short list of Epic! 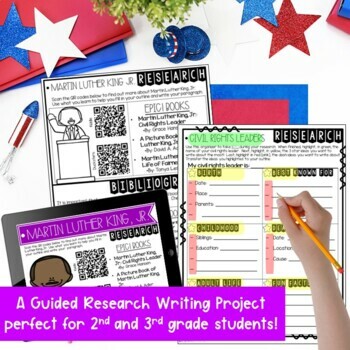 book titles accompany each leader research sheet in order for students to conduct research in a safe way. The format of your paragraph packets will remain for each prompt so that students can continue to grow more independent in their writing through familiarity with the layout. 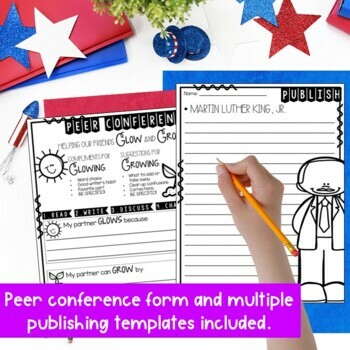 Please download our FREEBIE Prompt, It's Time to Be Kind for a look at how each Paragraph Packet is set up. 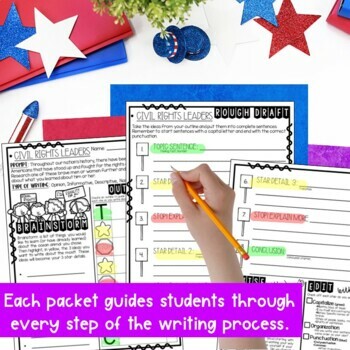 60 Paragraph Packets plus an EDITABLE FILE to accommodate your personal classroom needs! **Upon purchase, please consider leaving us feedback. It is always appreciated! Click the star at the top of the page if you would like to be notified of our new products and sales. Follow us on Instagram and Facebook @stylishin2ndgrade for updates on our latest products, ideas, freebies, and fun!